The Abarth 595 Was First Unvieled As The Abarth 500 At The 74th Geneva Motor Show A Year After The Rebirth Of The Abarth Brand. 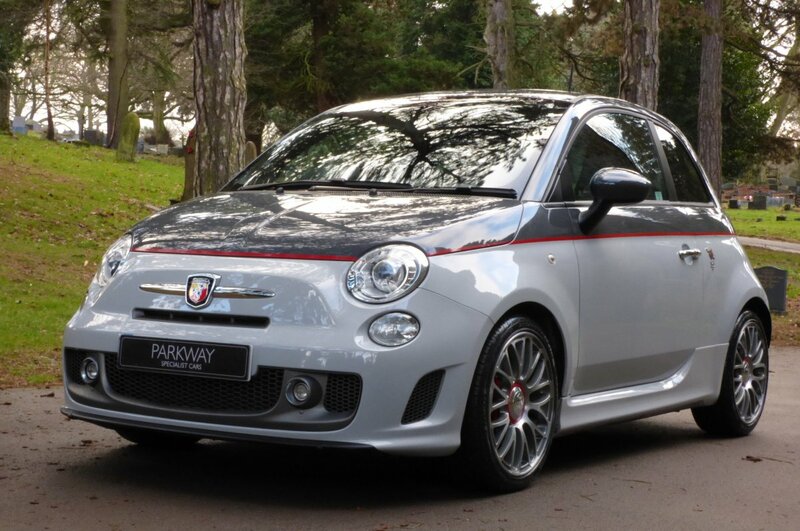 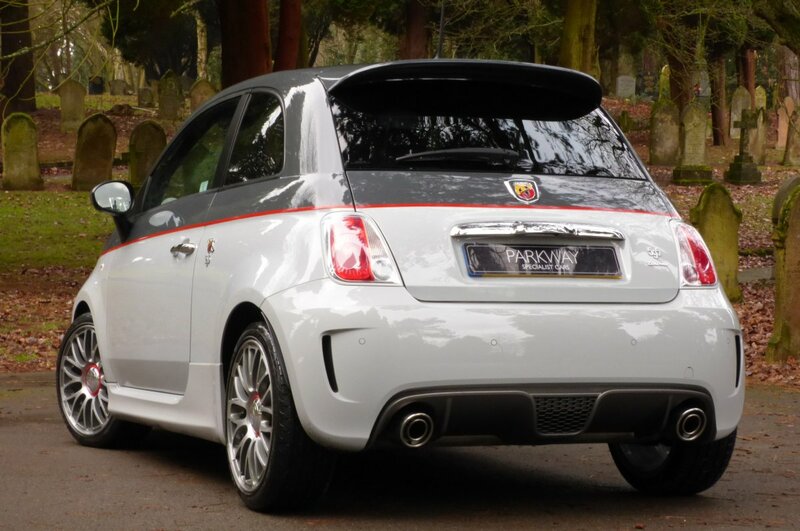 Based On Fiat's Small City-Going Fiat 500 Hatchback The Abarth Was To Be A Perfect High Paced City Hot Hatch. 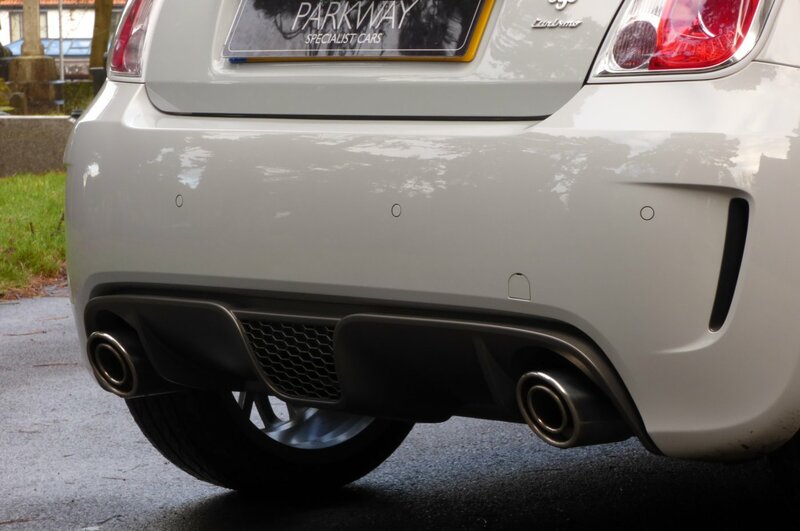 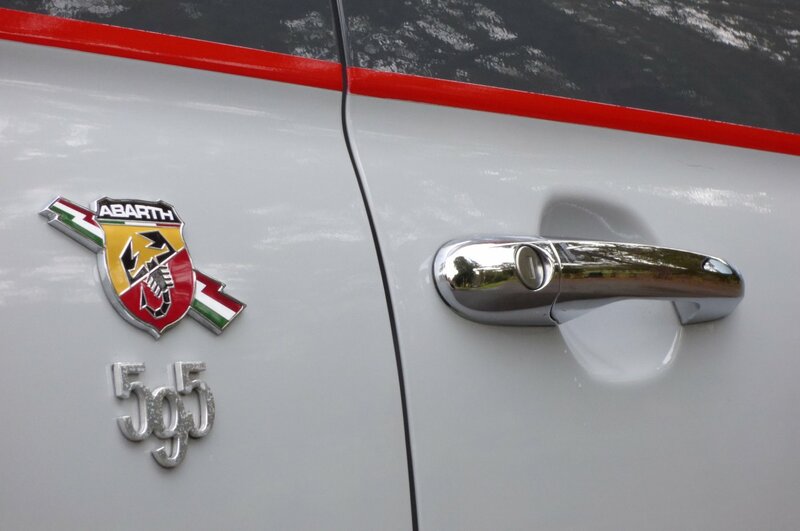 Abarth Had Been The Go-To Brand For Fiat When It Wanted To Turn Up The Wick On The 500, Providing Exhausts And Tuning Kits, Then, In 1963 At The Turin Motor Show The First Full Abarth 595 Appeared. 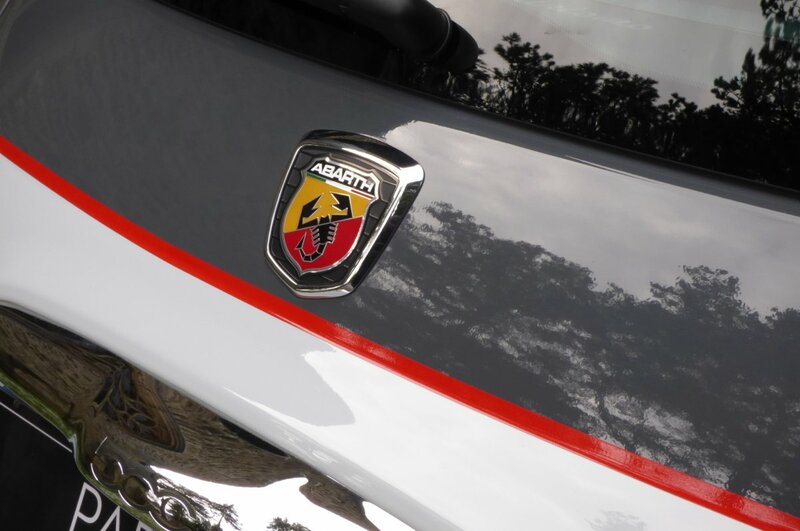 So Successful Was The Model That Fiat Eventually Took Over Abarth In 1971 Forever Linking The Two Brands. 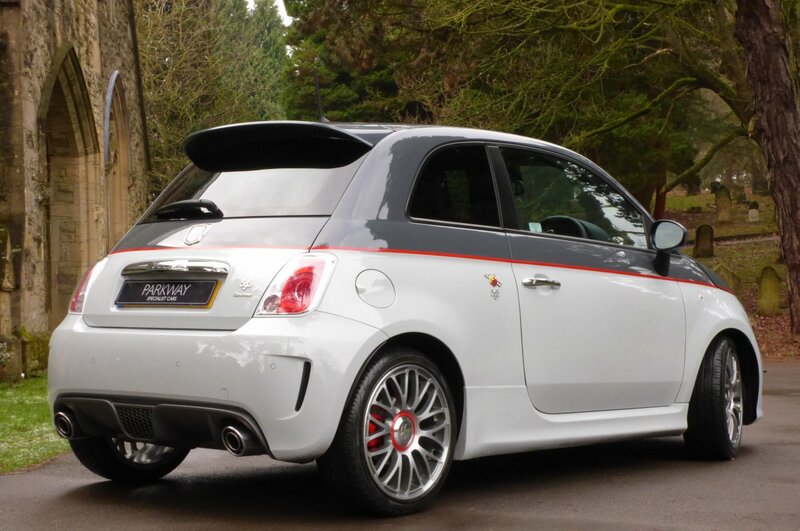 This All New Hot Hatch Would Use A 1.4L Turbocharged Engine That On The Base Spec Model Produced 135BHP, Which May Not Sound Much But When Strapped To This Small Body Produced A Rather Fast And Extremely Fun Driving Experience. 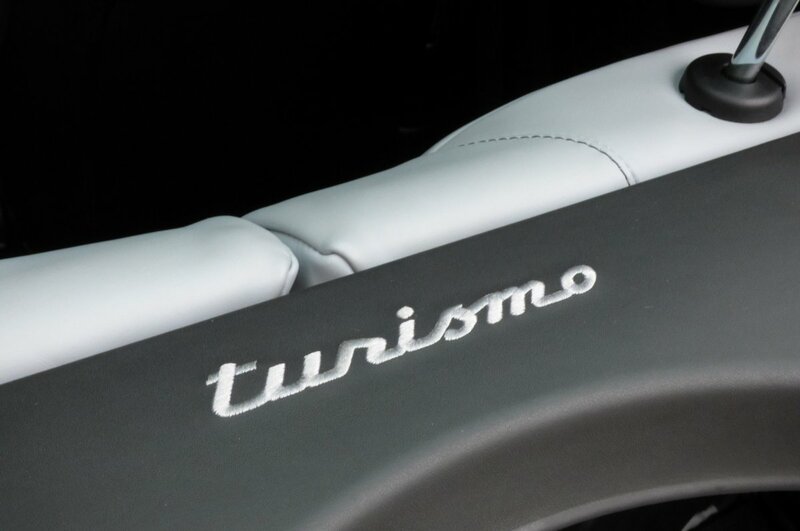 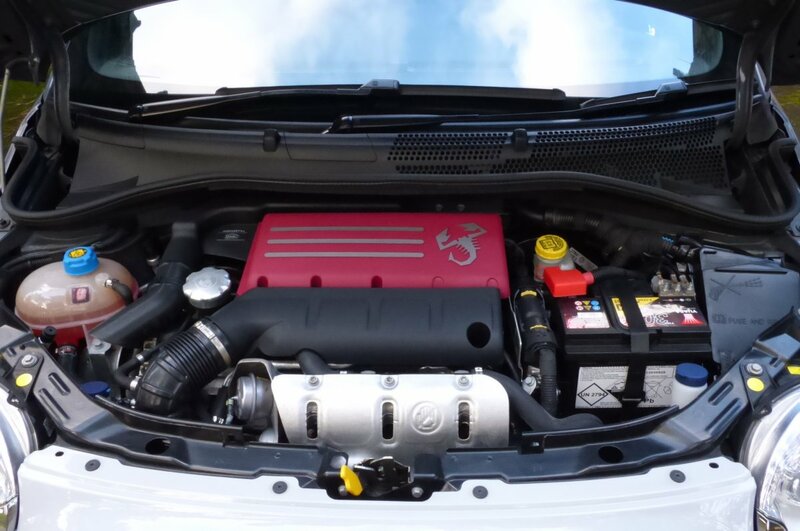 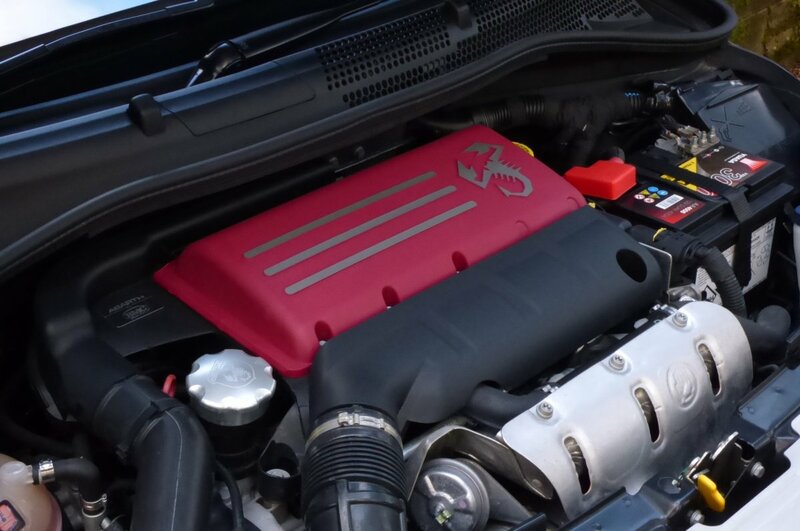 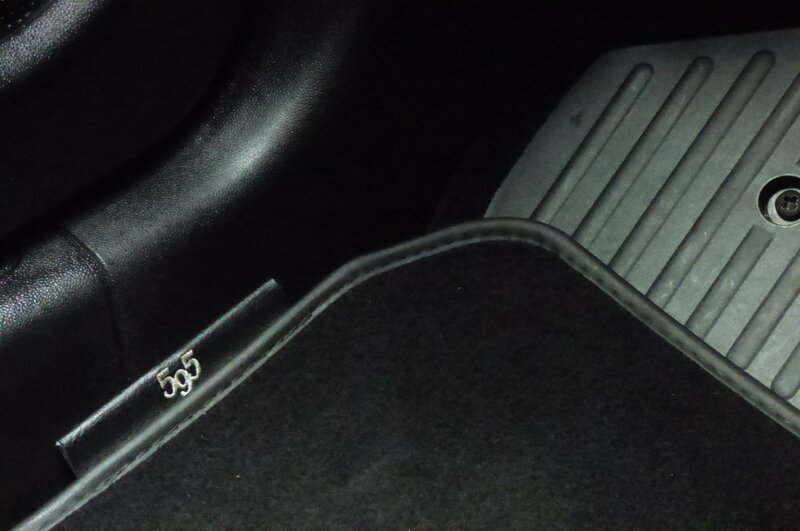 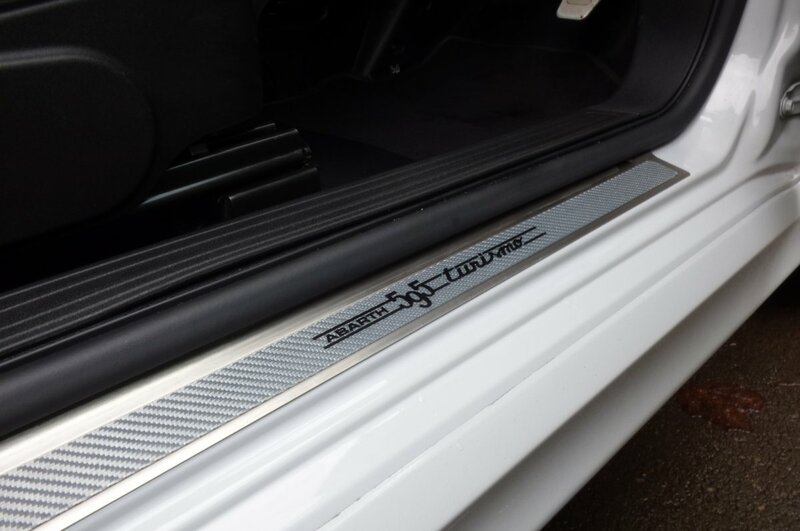 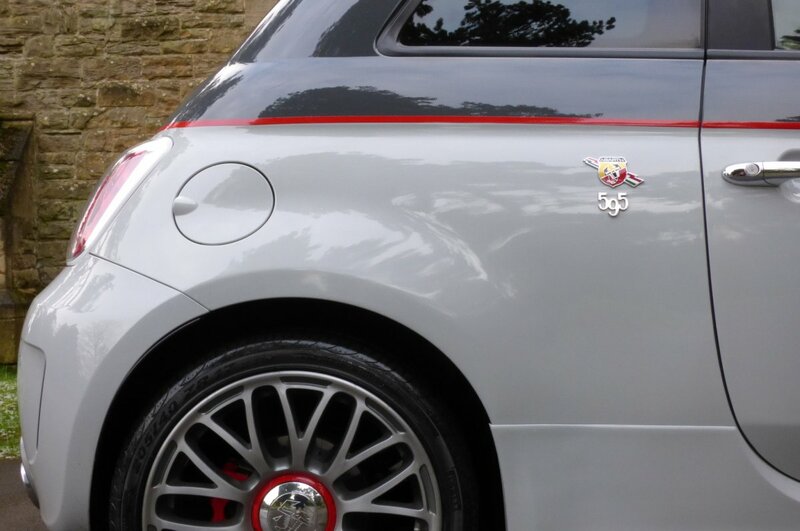 In 2012 The Abarth 500 Was Rebranded To Be The 595 And Would Offer Eager Clients 3 Specification Levels: The Base 595 Which Now Produced 145BHP And The Competizione And Turismo That Both Offered 160BHP But Differed In The Turismo Being A Softer Drive Due to Full Leather Sports Seats And Other Extras In Comparison To The Competizione Being A More Track Focused Model. 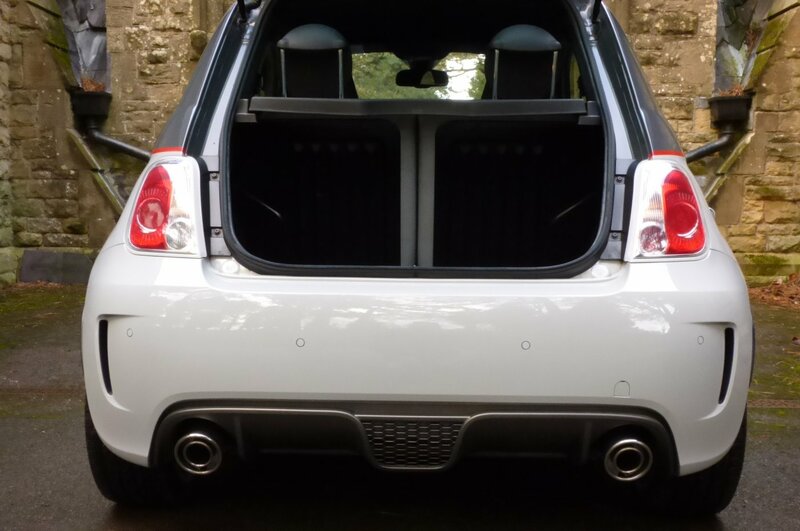 The Turismo Offering 160BHP Through That 1.4L Engine And Lightweight Body Would Propel Both Driver And Passengers To 60MPH In Just 7.6 Seconds And Would Further Rise To A Top Spee Of 130MPH Which Made This Lovely Little Car More Than Capable Of Darting Between The City Lights Or A Weekend Cruise To The Countryside. 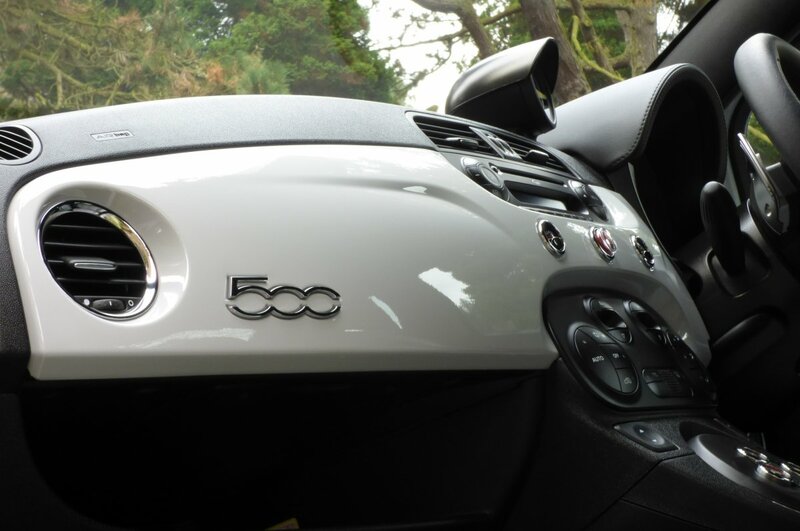 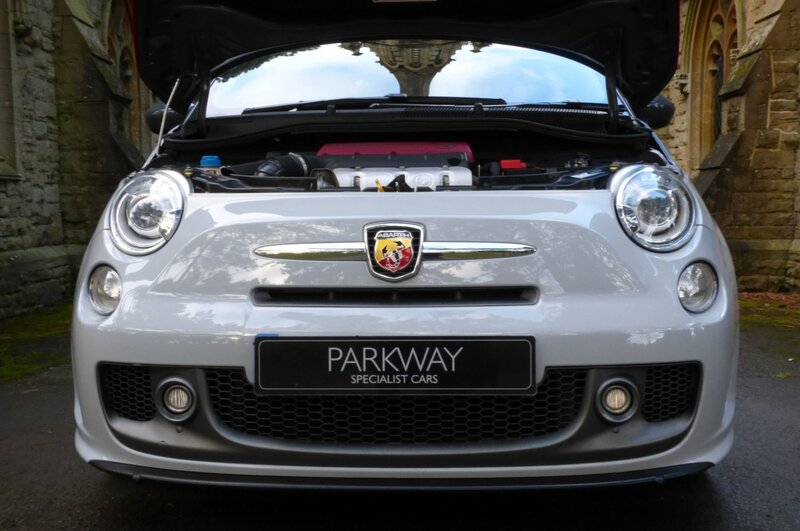 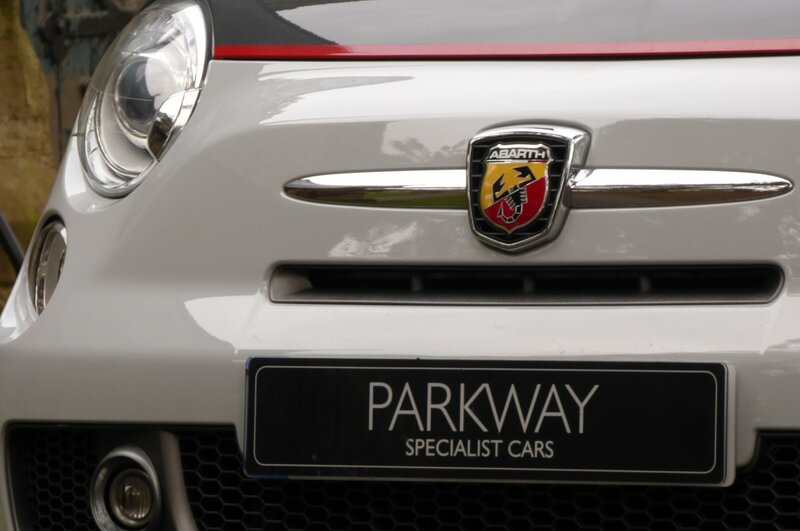 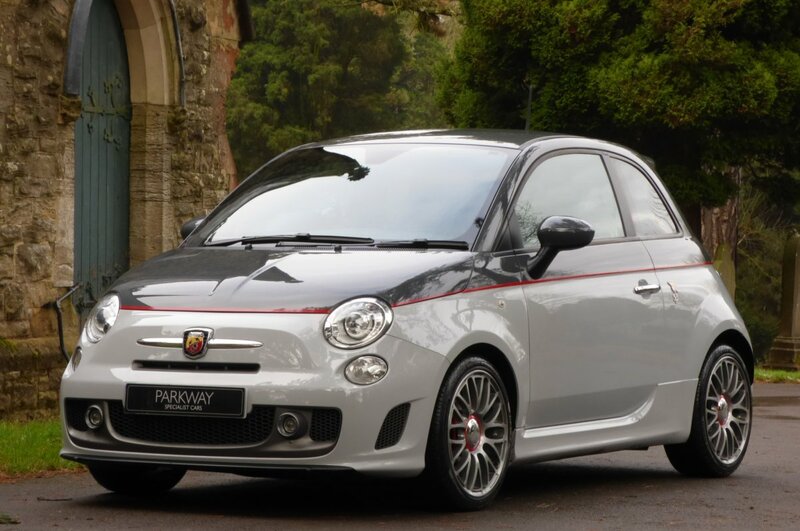 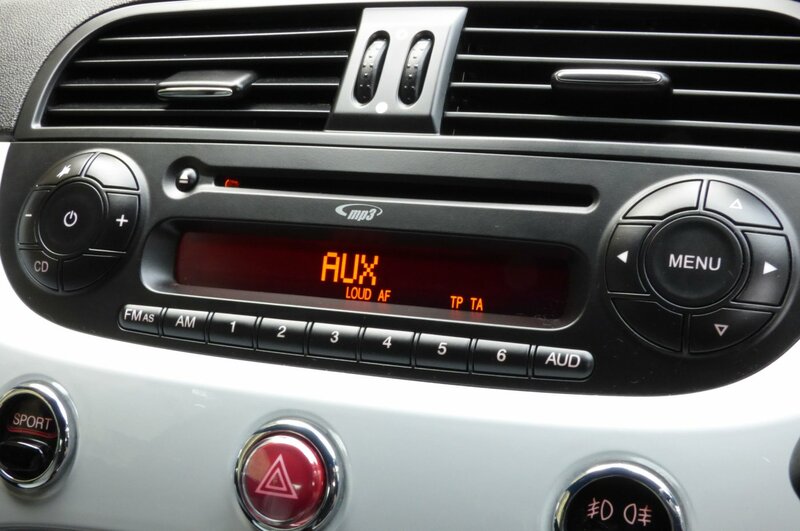 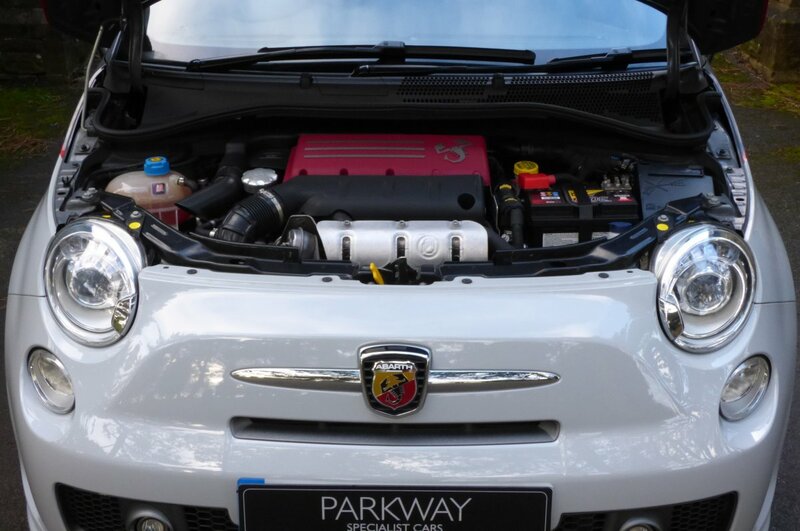 Our Lovely Low Mileage 595 Turismo Was First Supplied By Fiat Abarth Marylebone In September 2013 And Since Then Has Completed Just 14455 Miles. 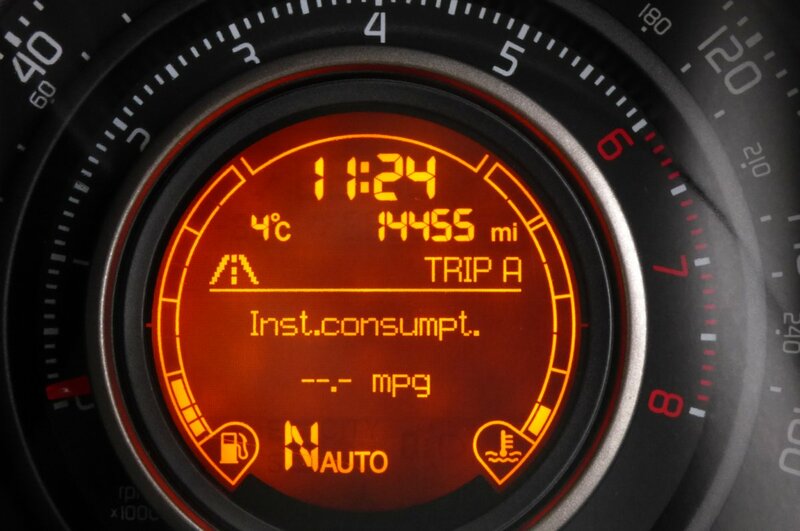 Regardless Of This Stunning Current Mileage Reading Our 595 Has Been Treated To A Full Abarth Authorised Dealer History With Service Visits Logged At 7118, 9397, 10787 And 12255 Miles. 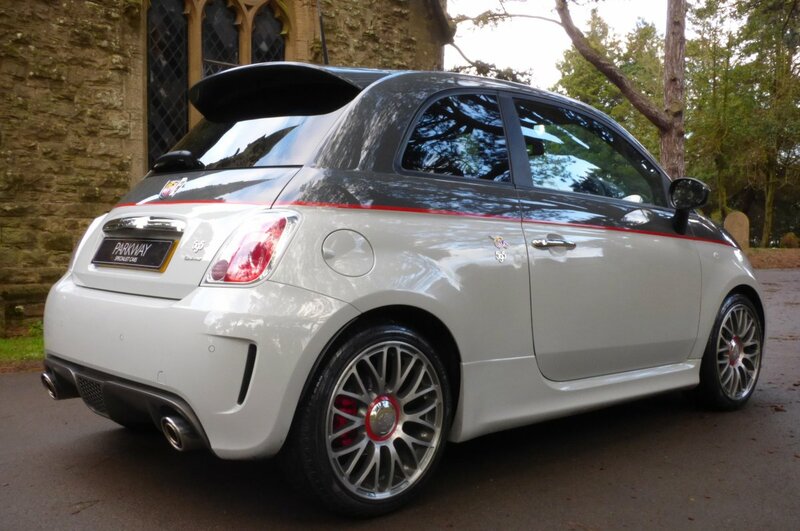 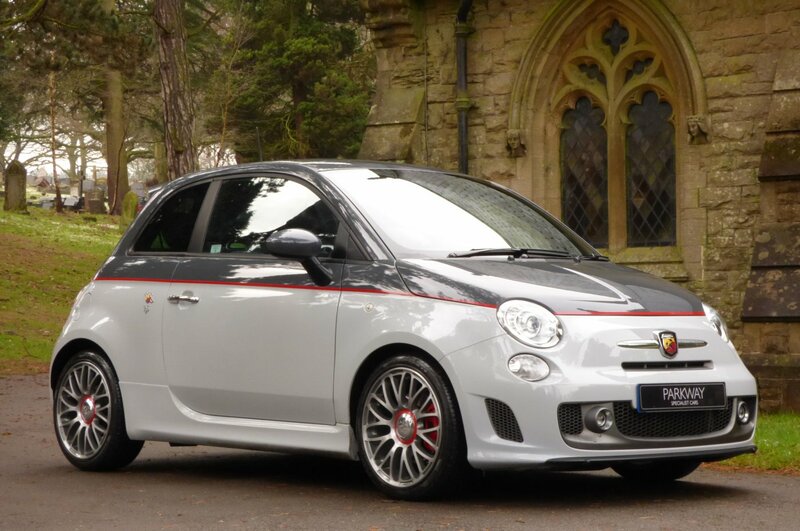 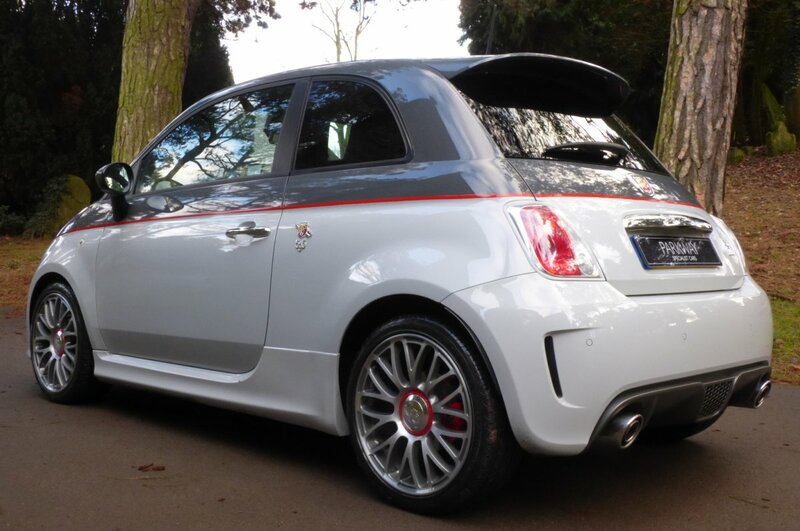 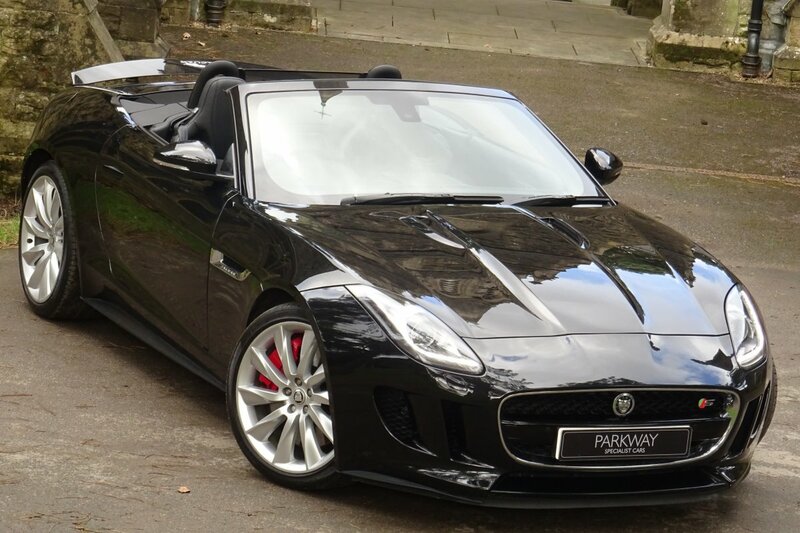 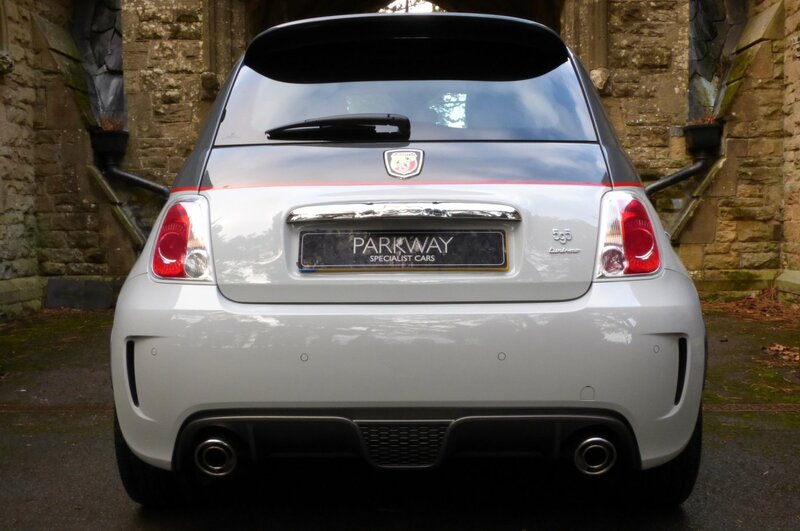 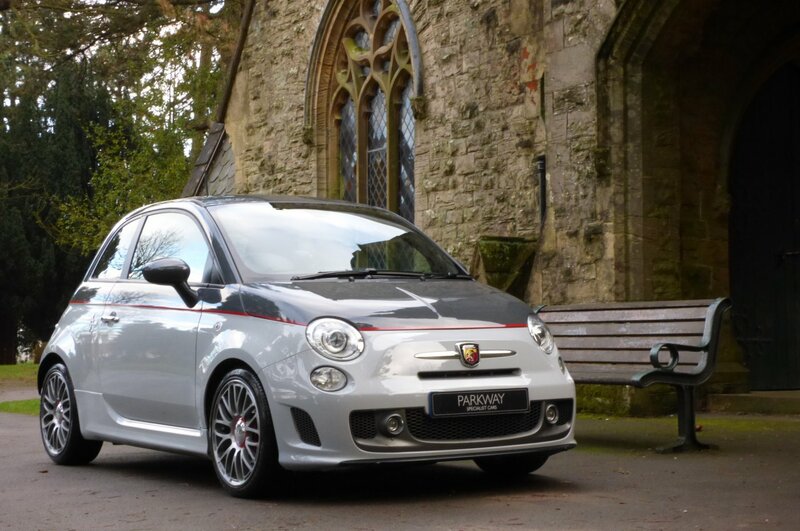 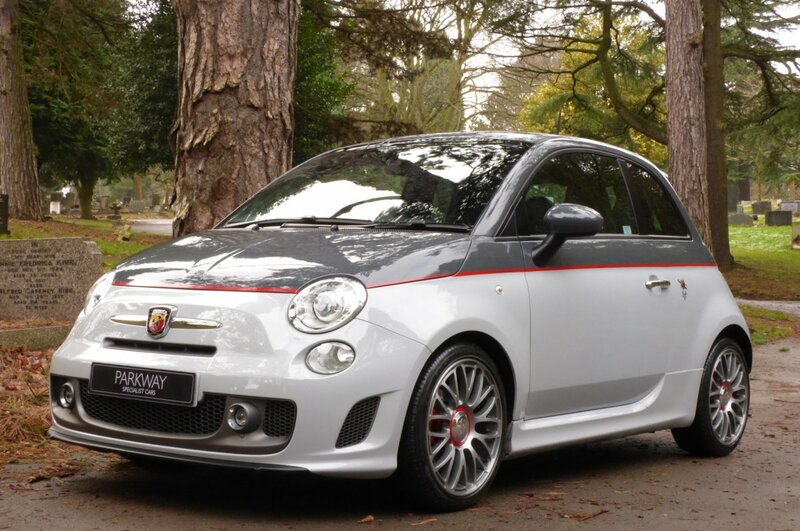 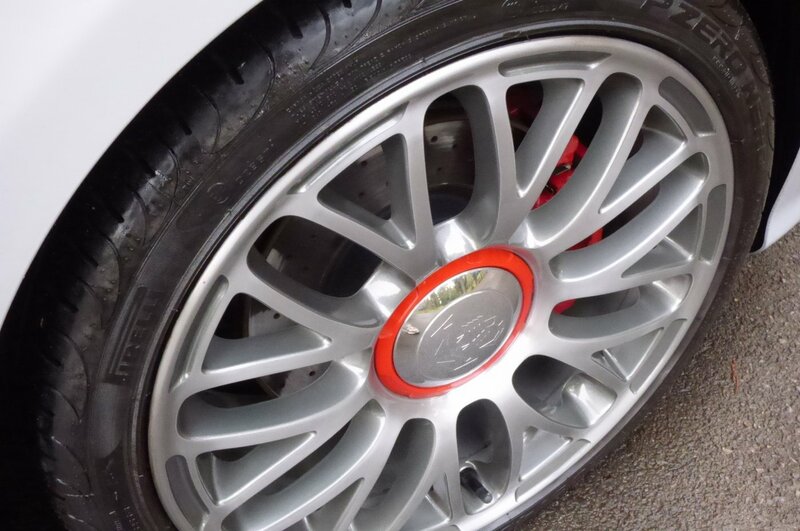 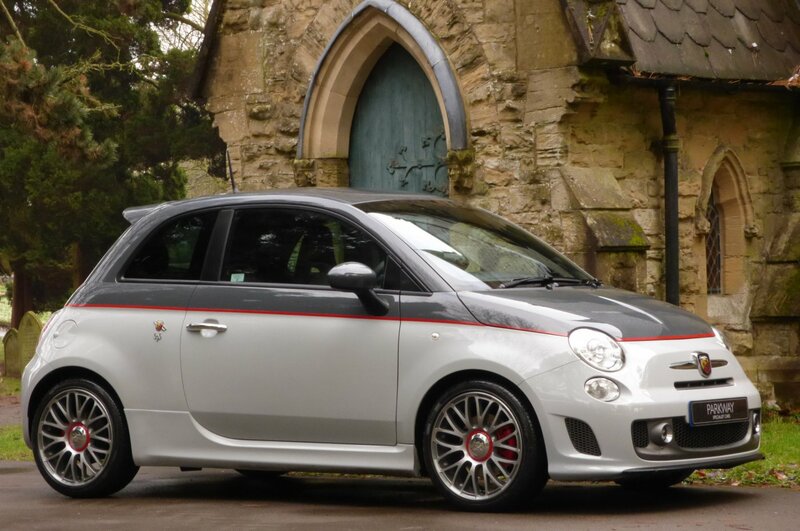 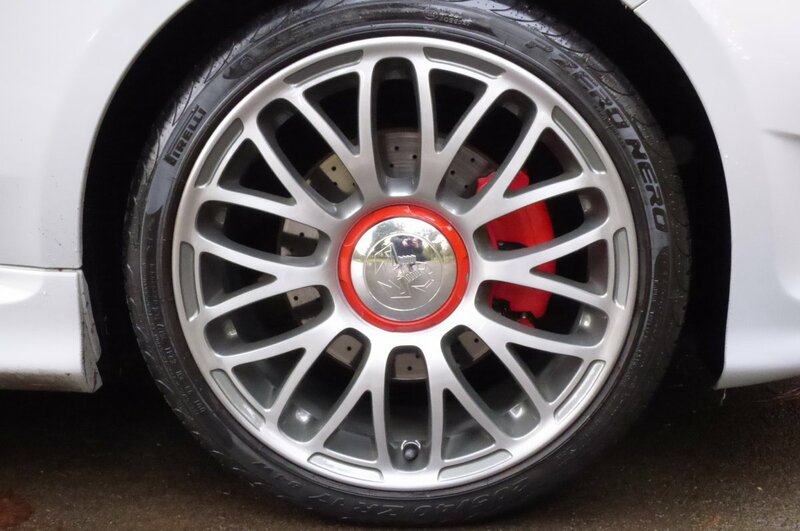 This Stunning Example Will Be Presented To It's Second Owner With Both Keys, The Full Book Pack To Include The Abarth Service Booklet As Well As The Owner's Handbooks Ready For That Next Owner To Keep And Cherish During Their Own Time Of Ownership. 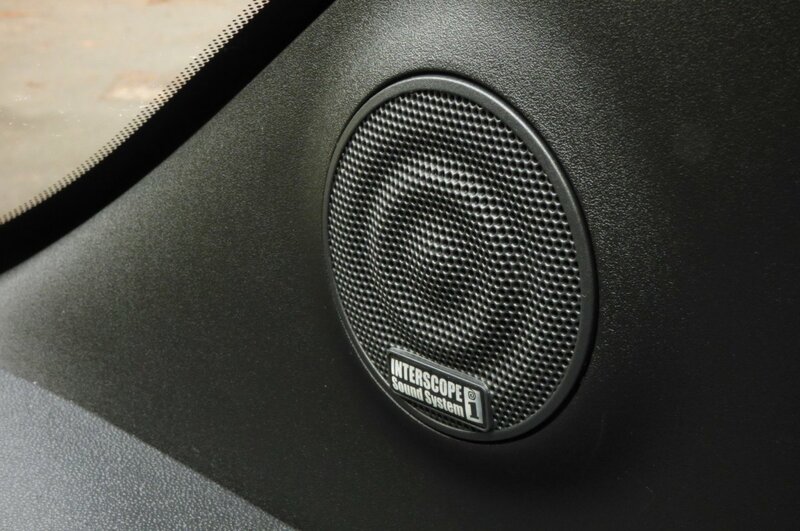 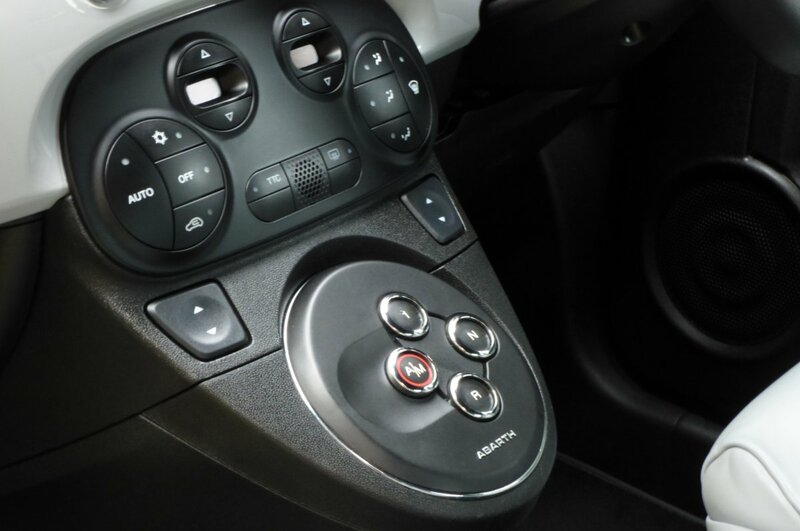 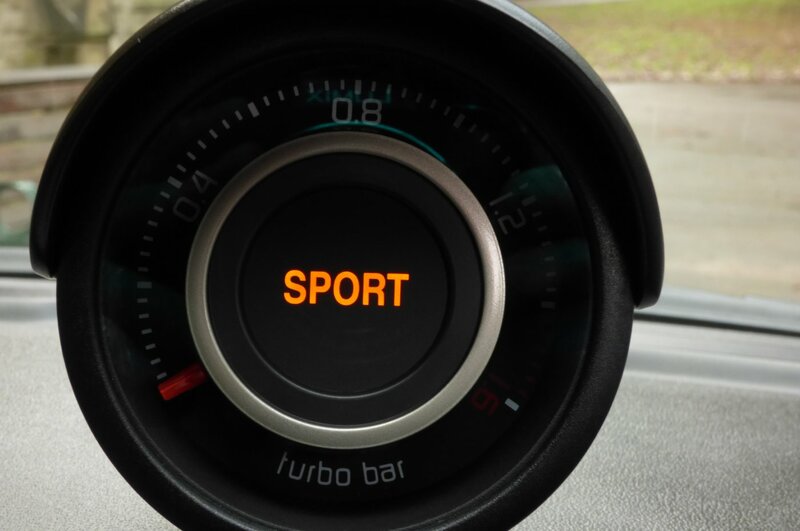 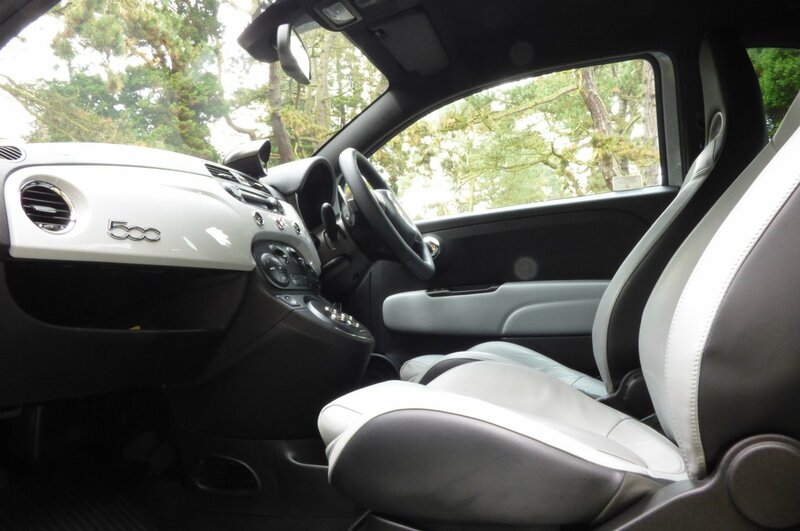 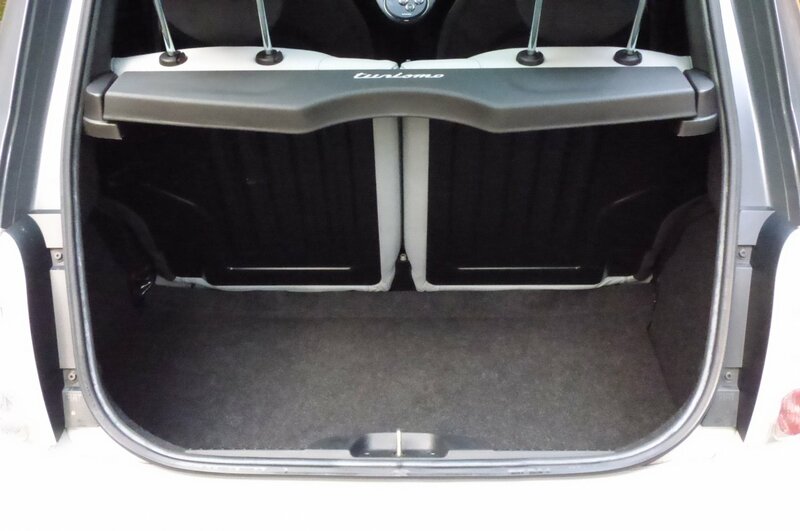 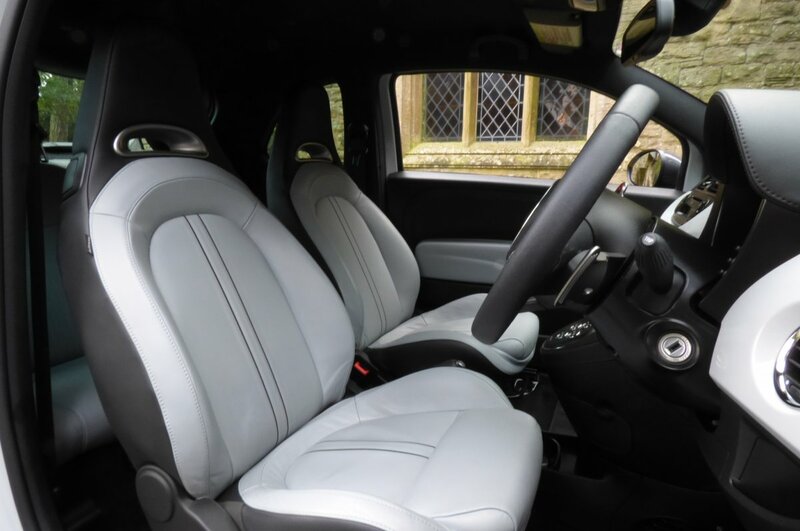 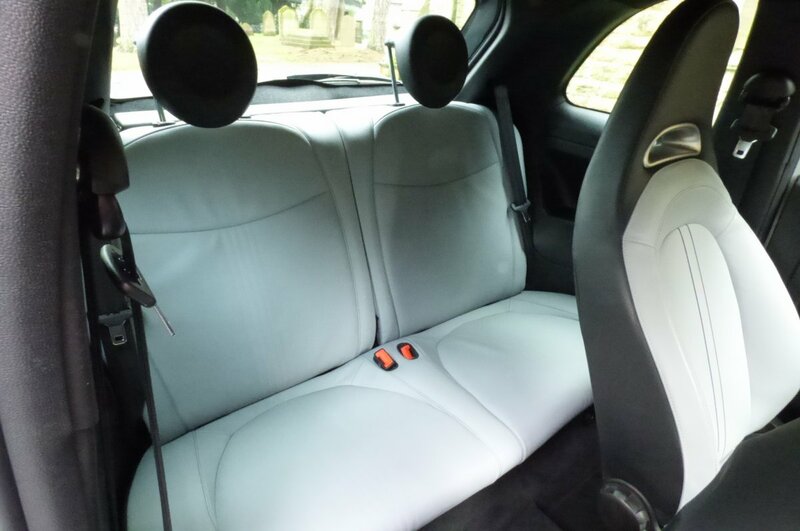 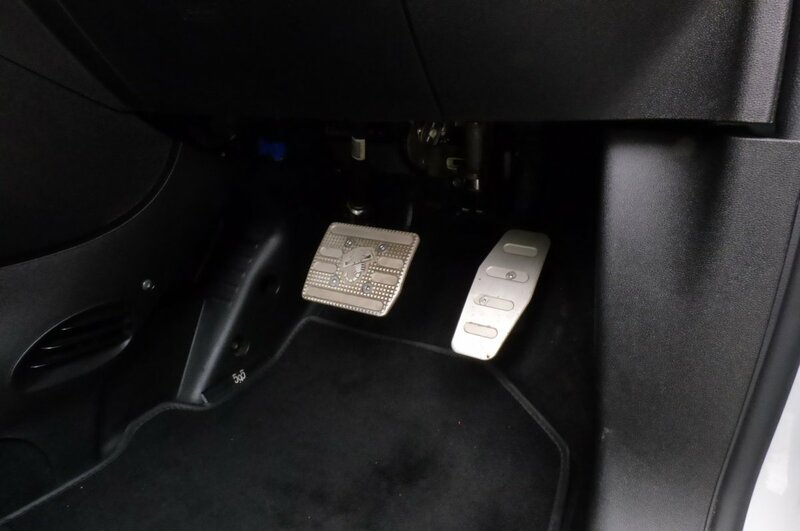 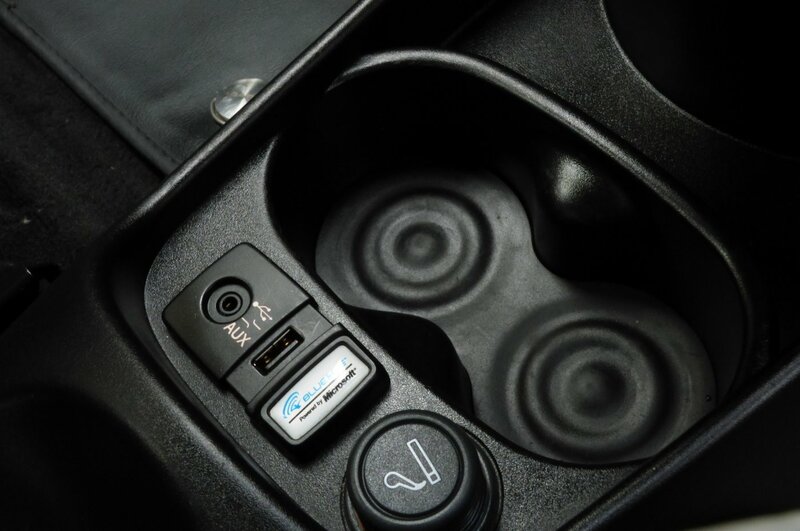 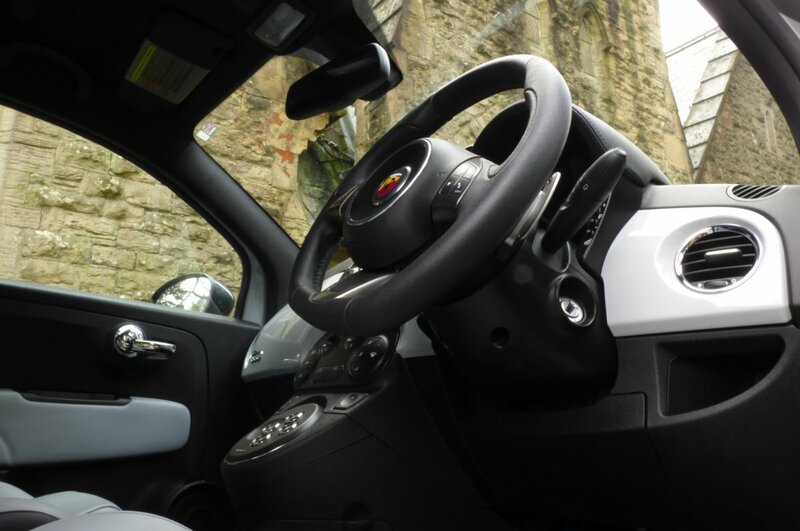 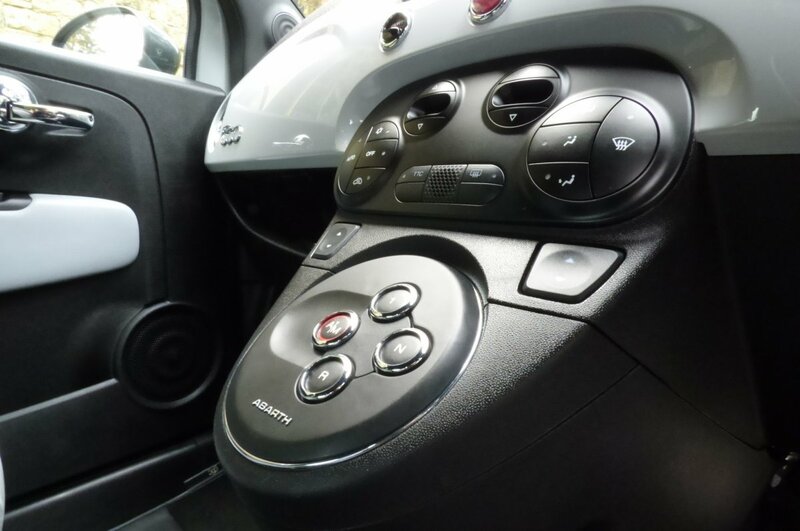 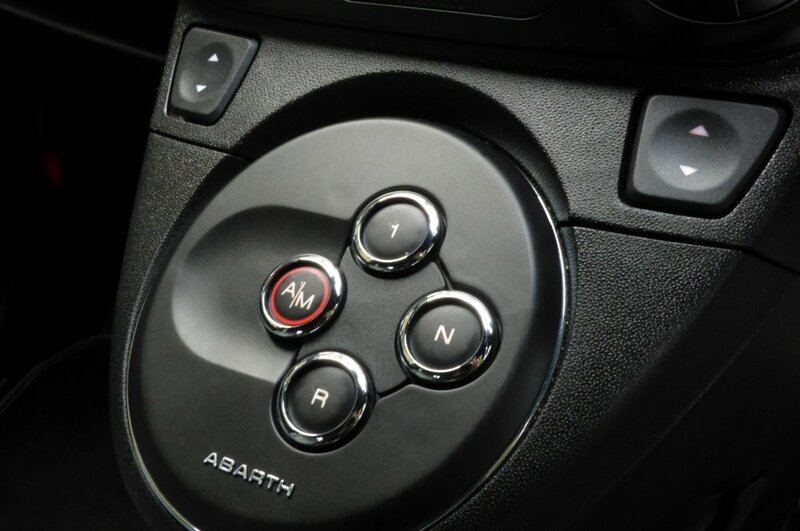 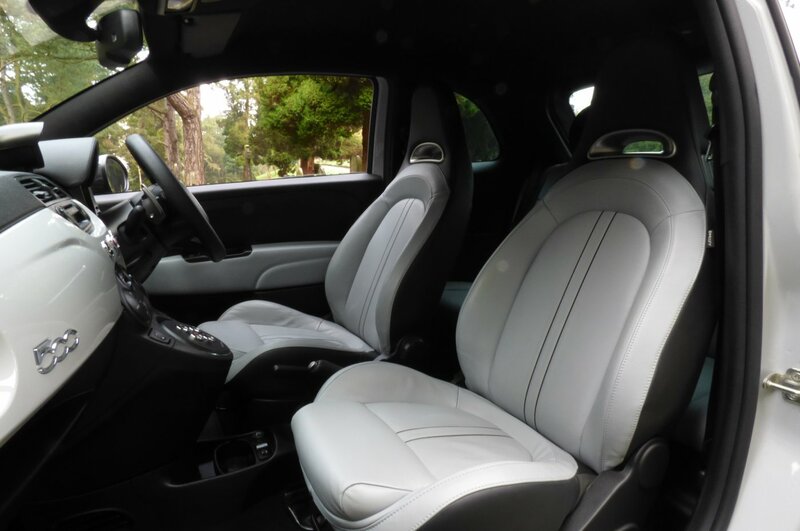 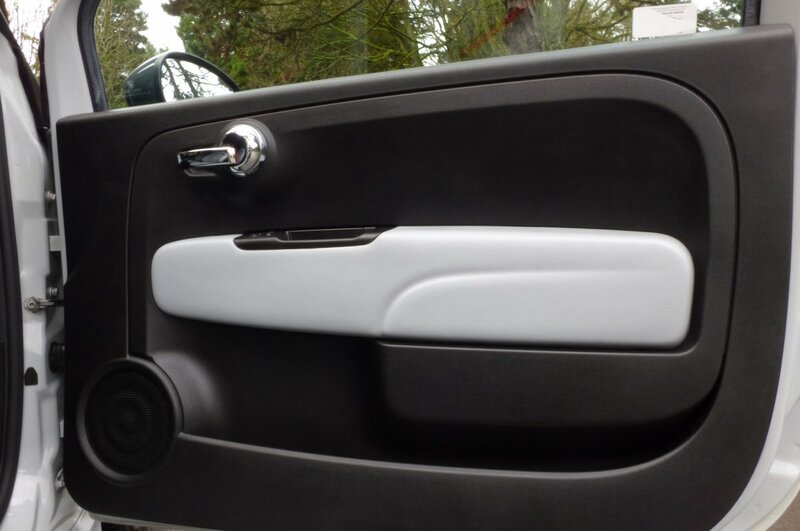 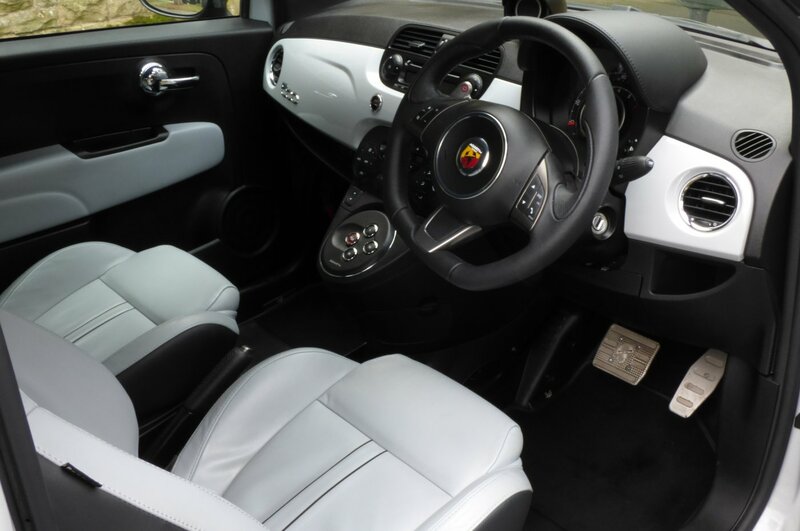 The Abarth Interior Offers An Exciting Experience For Both Driver And Passenger To Enjoy But Still Offers That Level Of Comfort When Driving Around In A Small Hatchback. 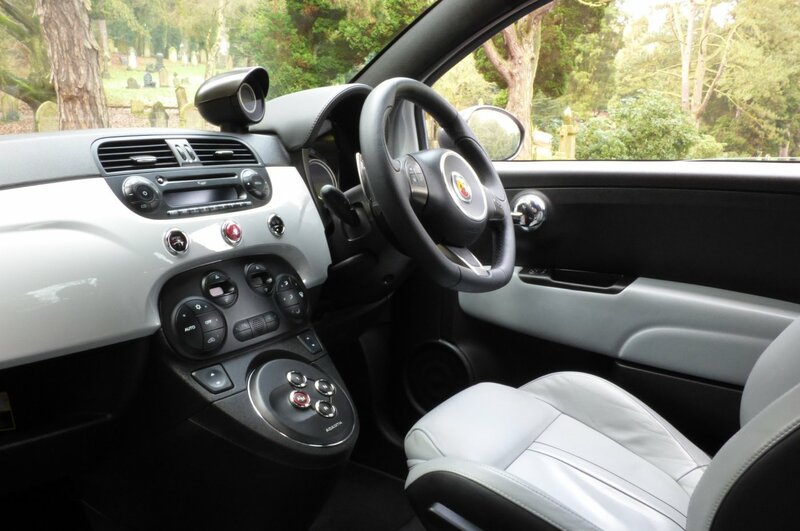 Our Car Is Presented With The Two-Tone Grey Leather Sports Seats Detailed With The Dark Grey Centre Double Stripe, The Gloss White Dashboard, The Black Door Cards With Light Grey Leather Inserts, The Black Carpets With 595 Over-Matts, The Leather Bound Flat-Bottomed Steering Wheel, Chrome Interior Door Handles, The Abarth Steel Pedal Set, Chrome Interior Vent Surrounds, Aluminium Design MTA Paddles. 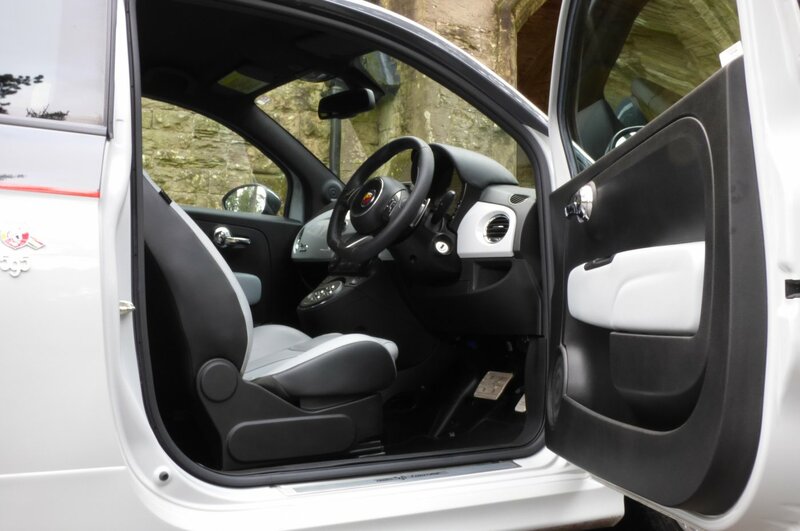 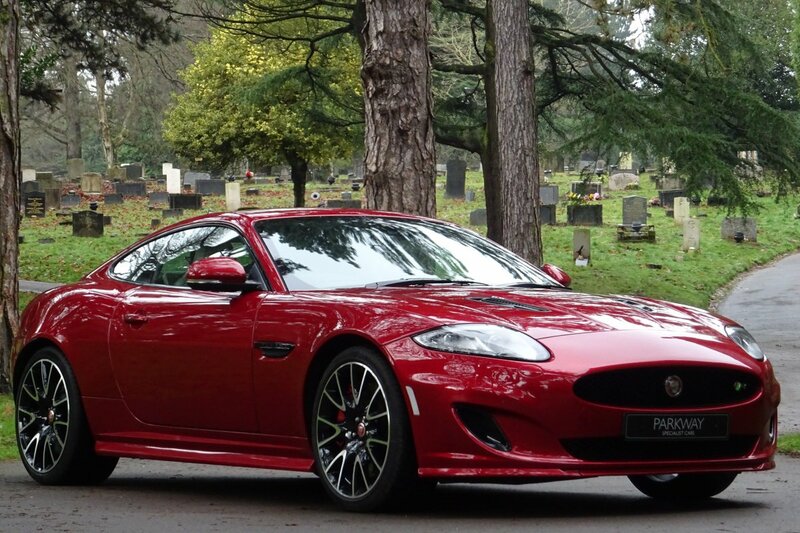 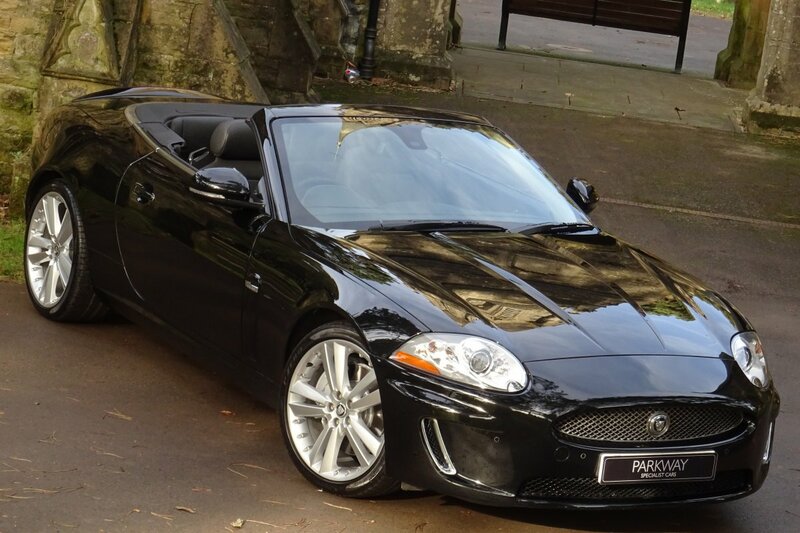 All This Is Wrapped In A Compact Interior Space That Benefits From A Lovely Specification Level. 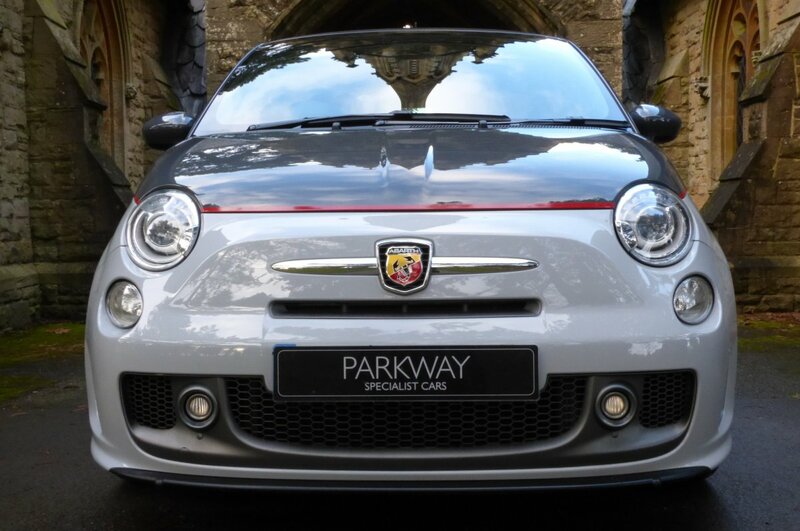 The 595 Offers A Lower, Wider More Aggressive Stance Than An Ordinary 500 And Has A Real Road Presence When Shooting Around Towns And Busy City Centres. 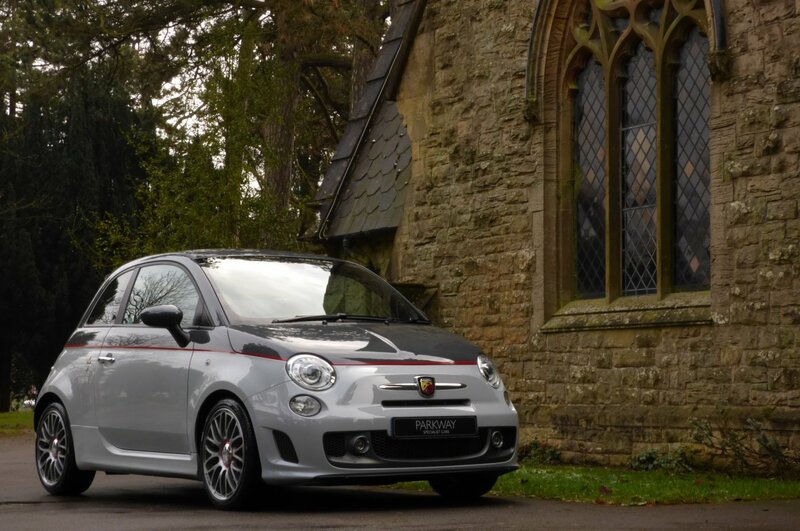 The Sculptured Exterior Of The 595 Is Presented In The Stunning Optional Circuit Grey/Campovolo Grey Bi-Colour With Red Dividing Line. 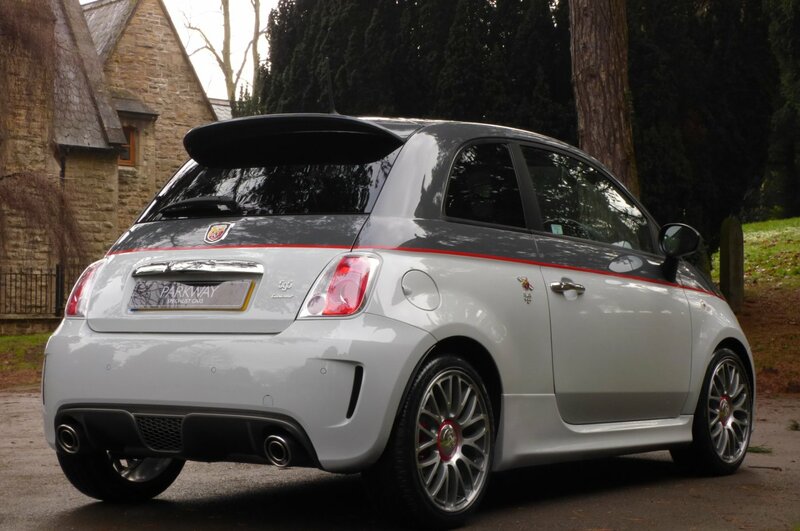 Further Exterior Treats Come In The Form Of The Unmarked 17" 10 Spoke Diamond Finished Alloys, Red Brake Calipers, Chrome Exterior Details To Surround The Headlights And Abarth Logo, Chrome Exterior Door Handles, Twin Oval Exhaust Tips, Matt Grey Rear Diffuser, Matt Grey Lower Front Bumper Grill And Splitter, Extended Rear Spoiler, Front And Rear Bumper Intakes. 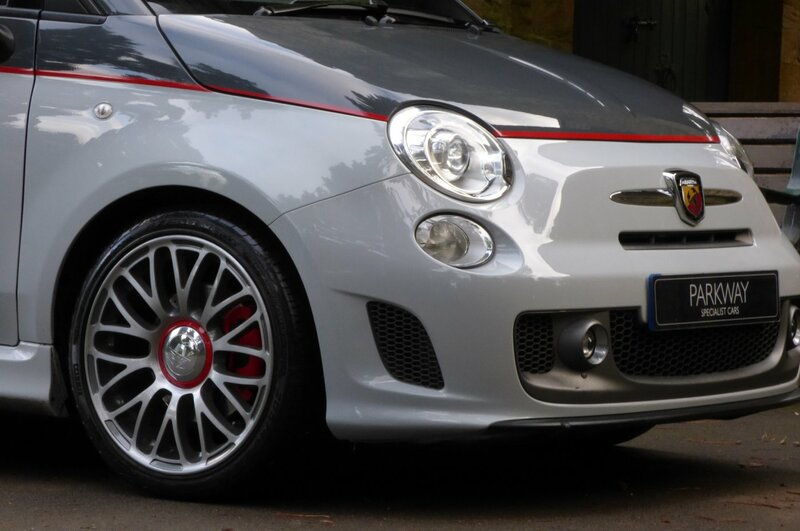 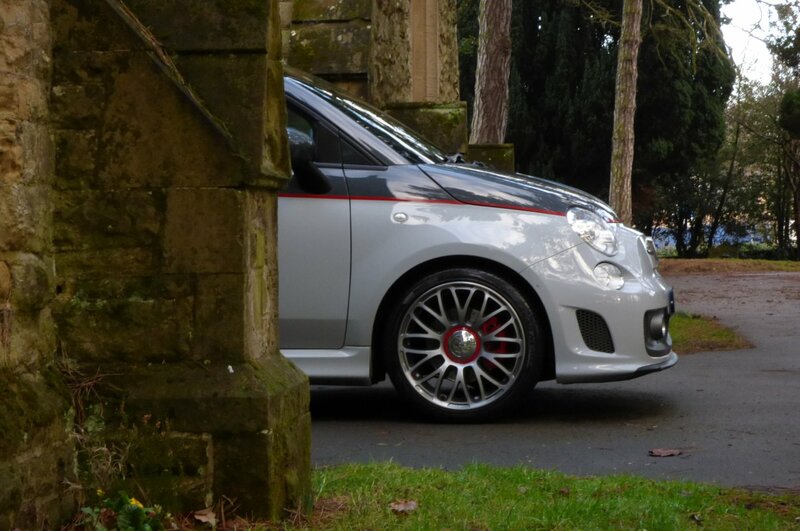 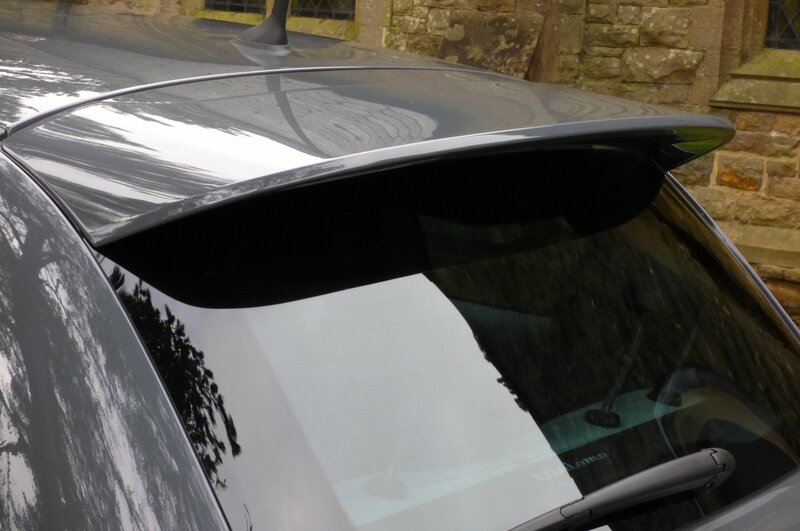 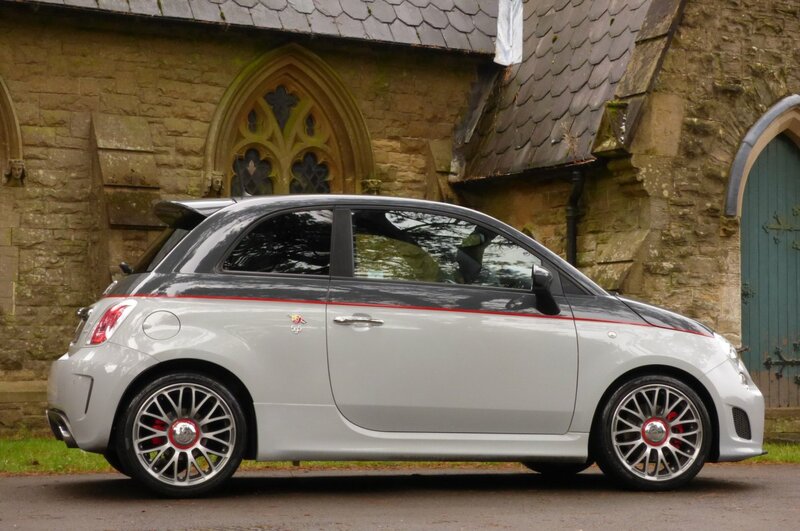 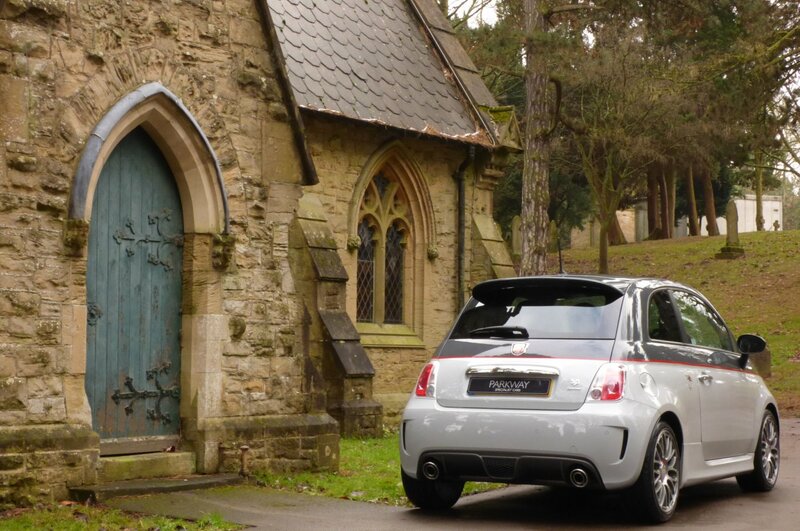 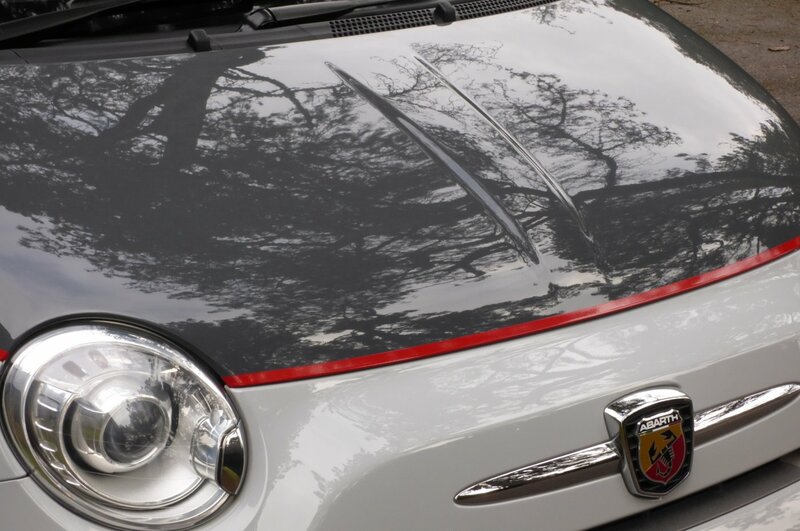 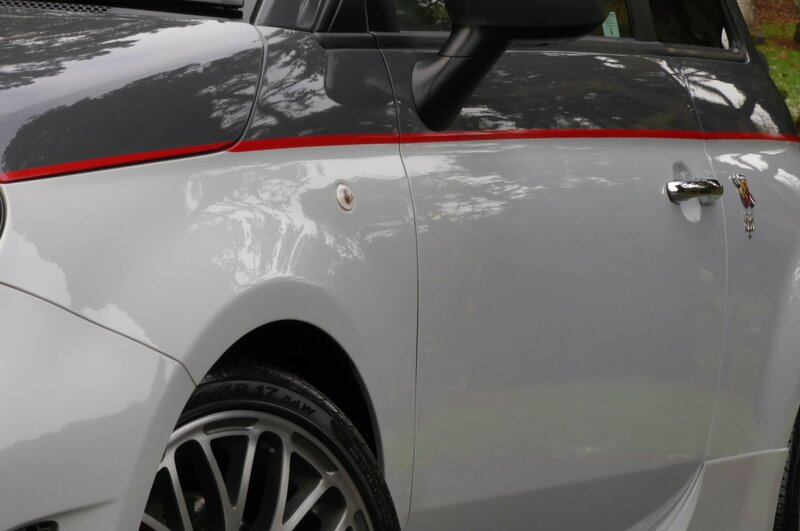 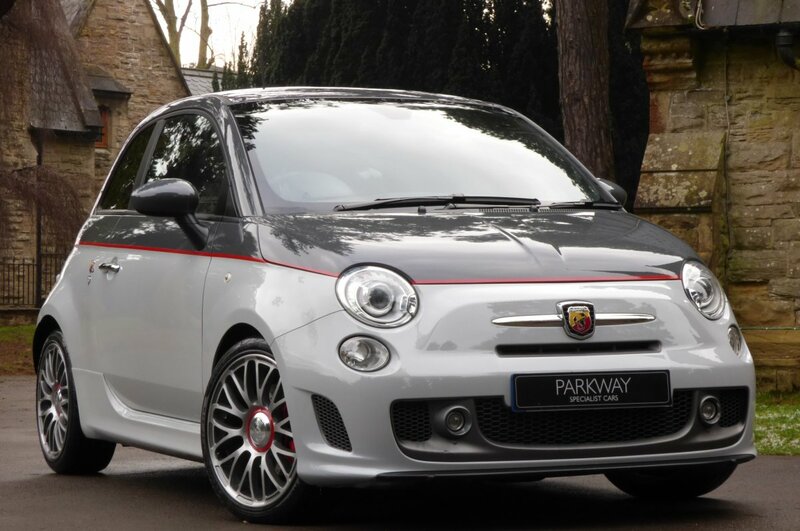 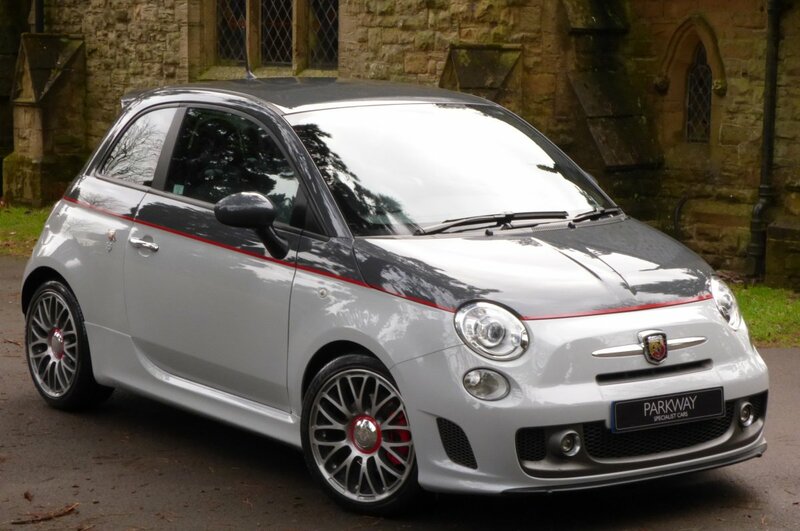 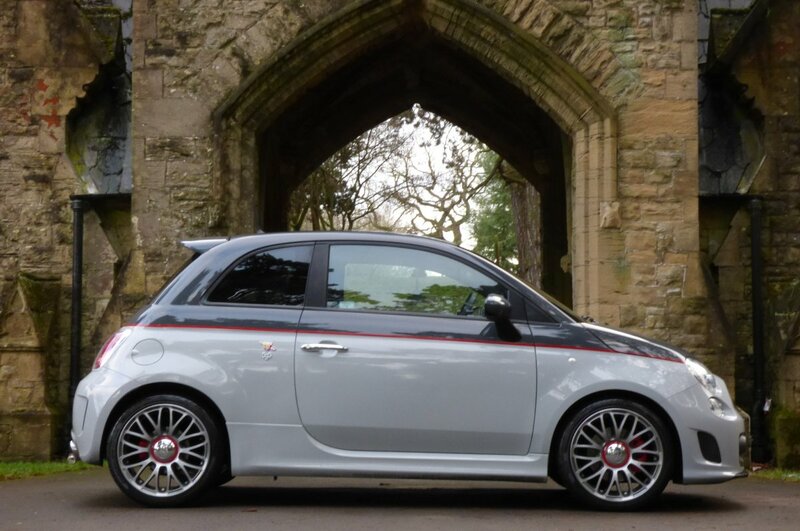 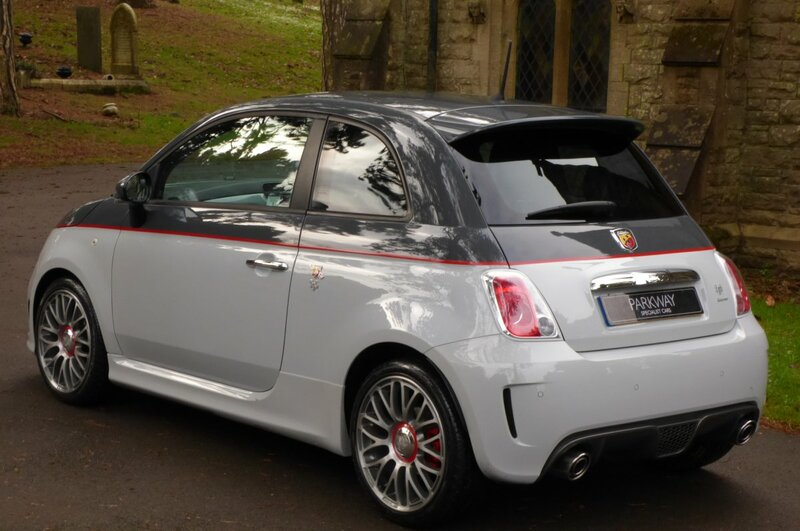 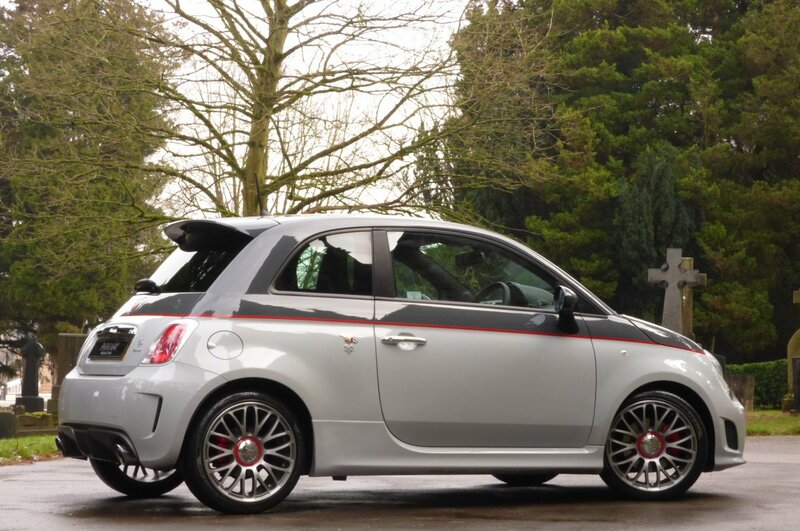 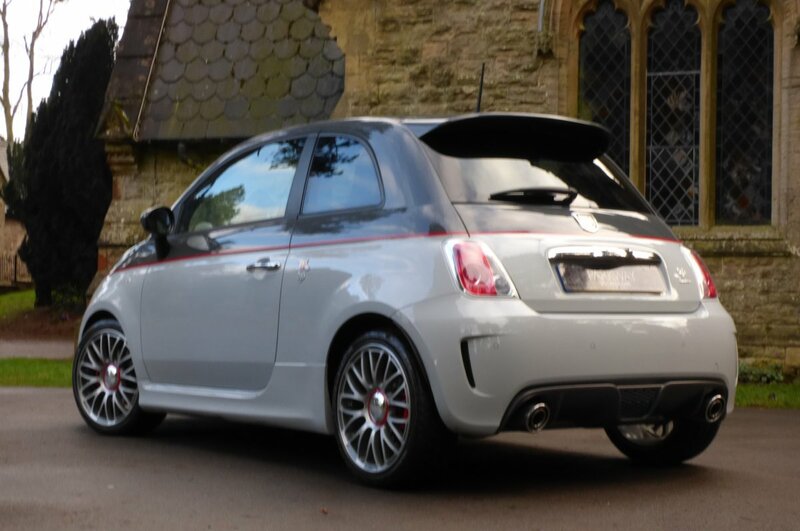 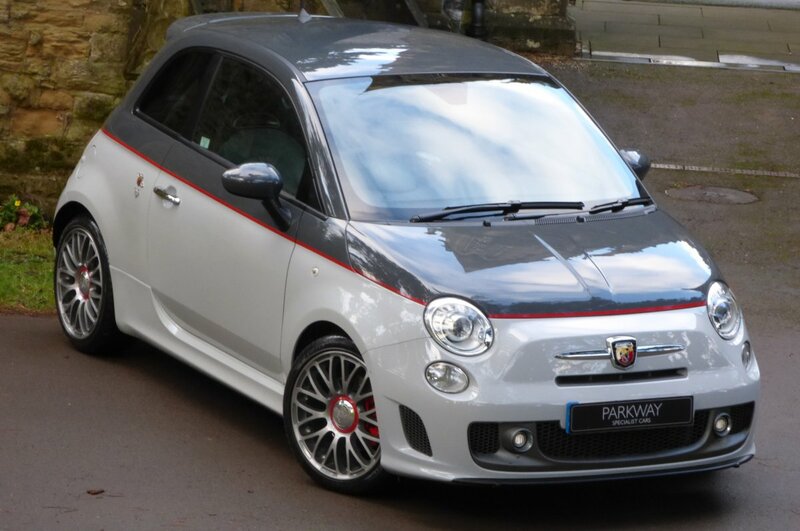 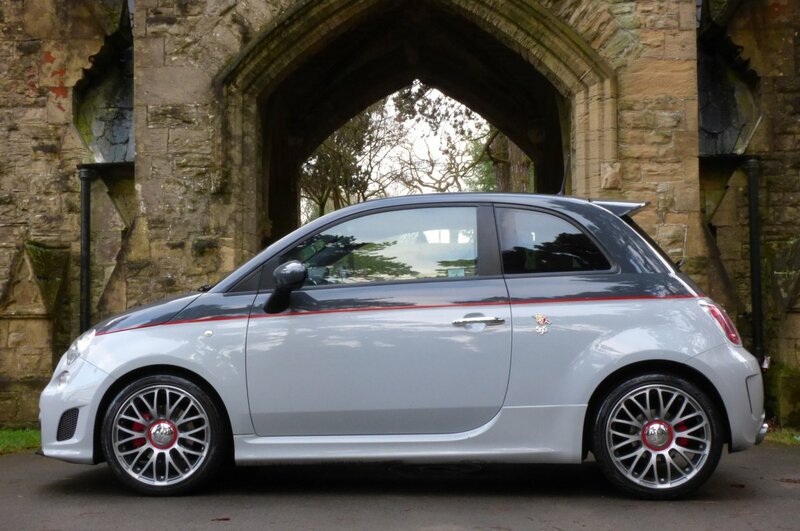 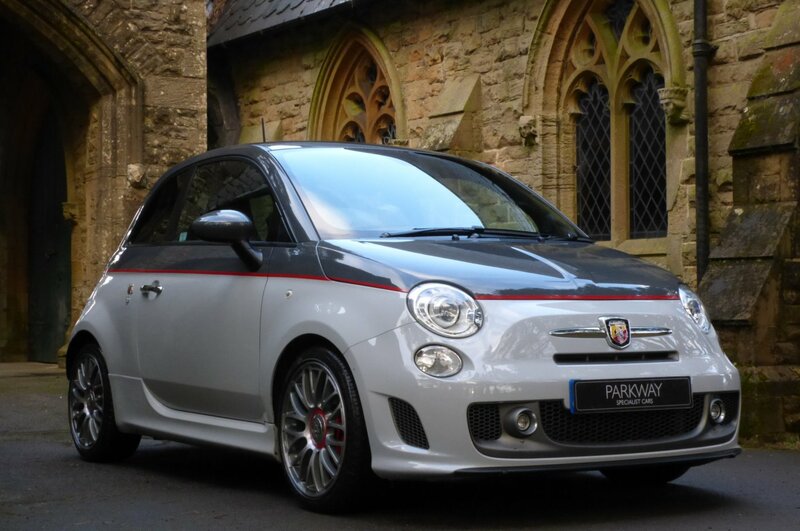 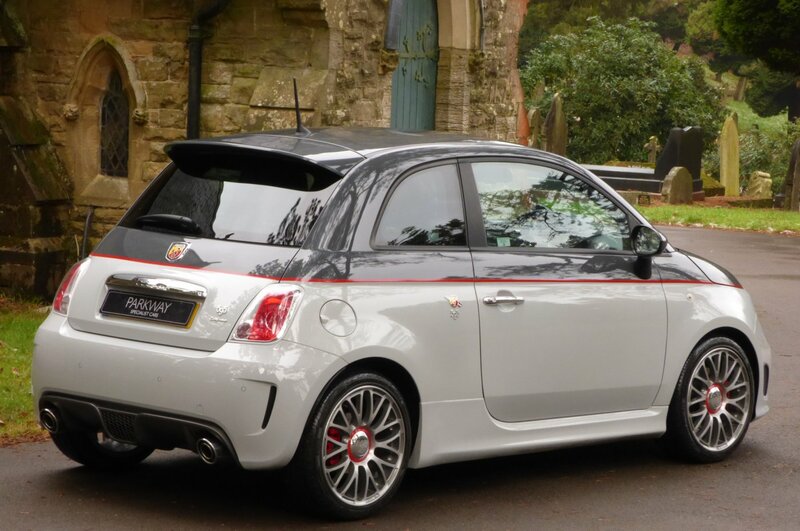 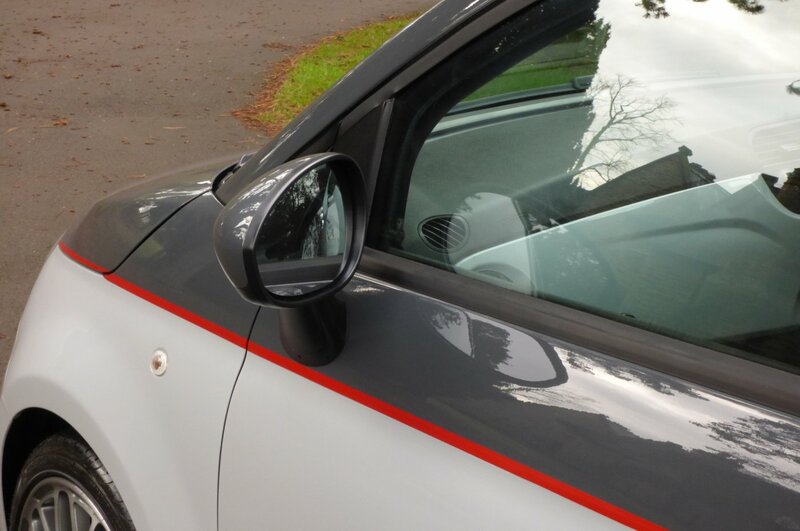 This Superb Exterior Styling Is Finished Off With Those Abarth 595 Motifs On The Rear Quarter Panels Of The Car To Let All Others Know This Is No Ordinary 500.